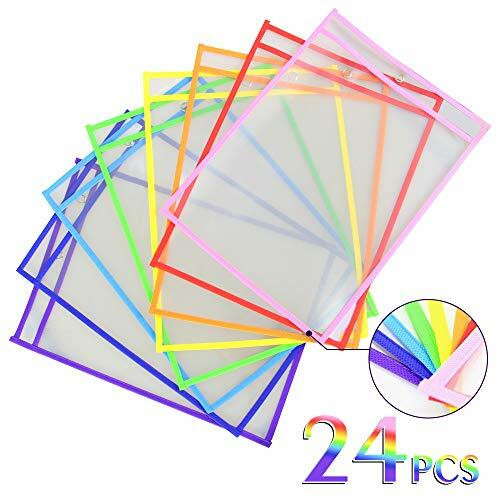 ☆SUPERIORITY: These erase pockets are ideal for turning any kind of printed material into a reusable sheet that can be used again and again. 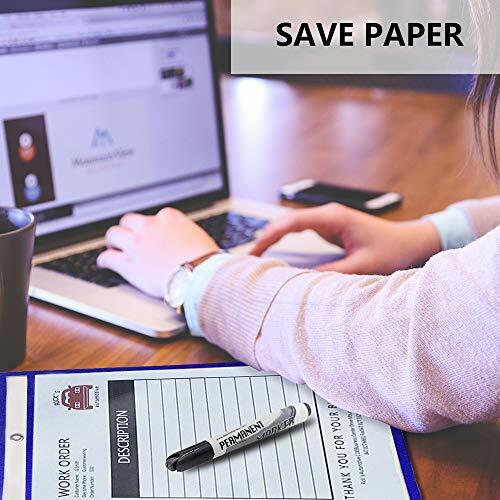 Using these you will save paper, time and money. 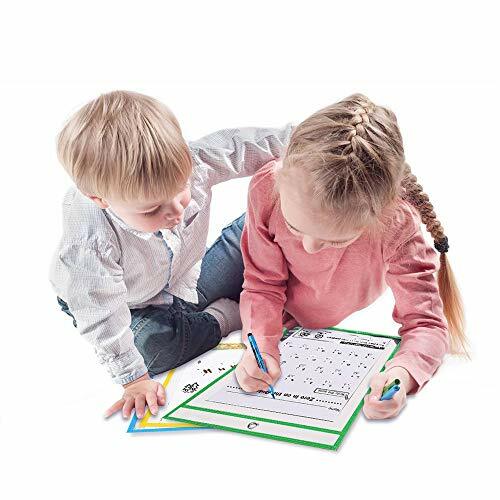 With these dry sleeves sheet, you are so easy to write on or wipe off even after using for a long time. ☆ENVIRONMENT FRIENDLY: These resuable pockets sleeves are made with High PET Material which is very strong flexibility, good electrical insulation, low influence from temperature and non-toxicis. It is easy to decompose and good for the protection of the environment. 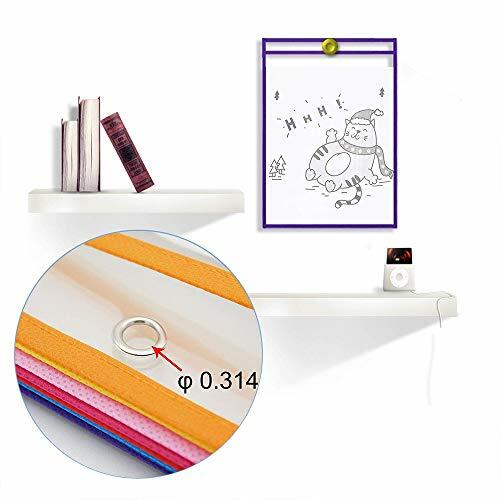 ☆PERSONALIZED DESIGN: Featuring a convenient marker pen holder and middle metal gromit on this dry erase pocket sleeves, easy to carry the pen and hanging on the wall. 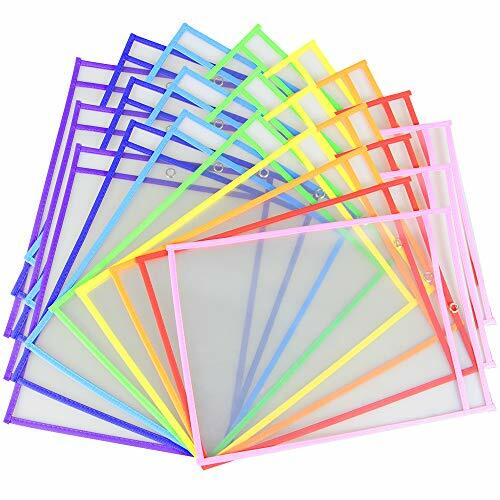 ☆OVERSIZED POCKETS: Our oversized reusable dry erase pockets are 10 x 14 inches which makes them larger than most. This way it is easier to slip paper in to. 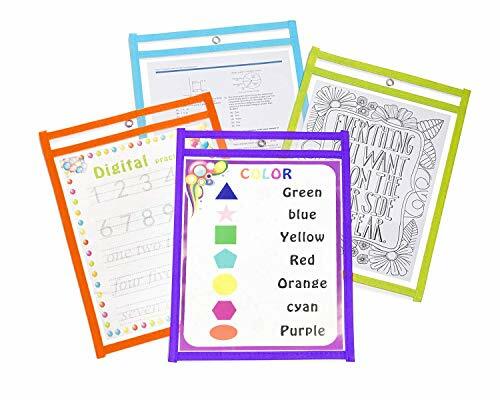 And these dry pockets ideal for school work hanging and storing worksheet sleeves, schedules and so much more. Meanwhile protect vital document from damage for office. 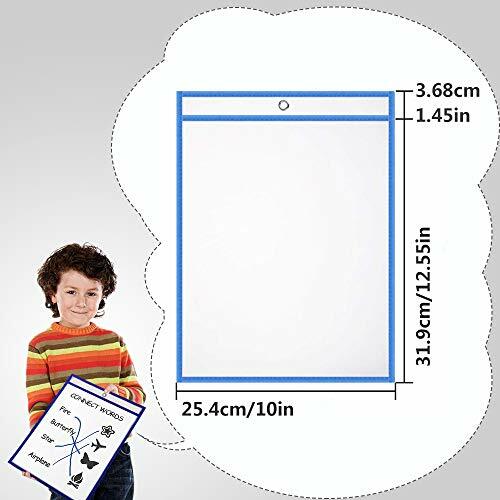 ☆TARGET PEOPLE: Dry erase pocket suitable for children drawing and writing one more time, applies to adults decorating and hanging artwork, and benfit of teachers storing and carrying worksheets.